While it’s undeniable that perfectly straight teeth have aesthetic benefits, the position of your teeth also plays a huge role in your overall health and well-being. Over time, mouths with crooked teeth or a bad bite can lead to further dental problems, tooth loss, and can contribute to a poor self-image. So while braces are typically associated with teenagers, people of all ages can benefit from a straighter and healthier smile! To help enhance naturally beautiful smiles, South Trail Dental Clinic is pleased to offer Invisalign® braces at our Edmonton office. Through the use of custom-made thermoplastic moulds, we can control teeth more accurately to help produce a straight and symmetrical smile. And best of all, Invisalign® braces are clear and discrete so you don’t have to worry about the unsightly brackets and wires as seen with traditional braces. To book a consultation, please give our office a call. 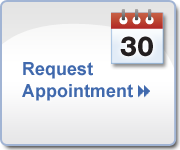 We’ll take the time to listen to your goals and desires to provide you with a treatment plan that’s tailored to your needs. We’re also pleased to provide referrals to other orthodontists in the area should you wish to use other methods of orthodontics.